Healthwatch Central West London is maintained by a small but dedicated staff team. Oliva leads the team and is accountable to the Board for the overall performance of Healthwatch Central West London. 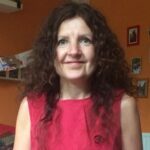 Experience of the voluntary and community sector and local authority has helped to develop her focus on the challenges of social and economic disadvantage. Non-executive Director roles with Dudley and Walsall Mental Health NHS Trust and Northampton General Hospital NHS Trust has developed her understanding of the challenges of NHS provision. Carena is our programme manager, having previously worked as the engagement lead for Westminster. Carena has a background in public policy and has also worked with community groups to improve access to mental health support for people from disadvantaged communities. 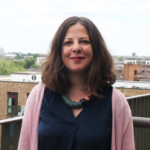 Tsveta joined the Healthwatch Central West London team in January 2017 as our Administrator, she is now our finance and office manager. Her role is to support the team day-to-day, by overseeing all admin, finance, HR, and general running of the office. 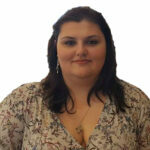 Tsveta has previously worked for the Department of Education and most recently, Hestia Housing & Support. 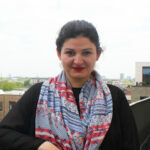 Eva works across Hammersmith and Fulham as the Engagement Lead. Her role involves listening to people’s experiences of using heath or social care services in the Borough and ensuring that their voice can influence key decision makers. She comes from a mixed background with skills in community organising and group facilitation, and strongly believes that people should be actively and collectively involved in the design and delivery of the services they receive. If you live or work in Hammersmith & Fulham, get in touch. Naomi works across Kensington & Chelsea as the Engagement Lead. She joined the team in November 2017. Her role involves listening to people’s experiences of using health and social care services in the Borough and ensuring that their voice can be heard. 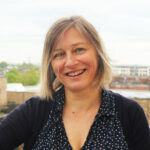 Naomi has a background in community engagement and health, and most recently worked at the Alzheimer’s Society. She believes that it is really important that local people are involved in shaping and improving the services that they receive. If you live or work in Kensington & Chelsea get in touch. Godwyns has a wide-ranging experience in the charity sector with interest in patients’ and service users’ involvement, social justice and inclusion. 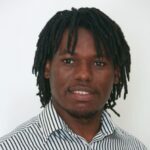 He has run various patients’ groups, served on a specialised commissioning group, and worked as a development worker (training and advise) in a CVS. Godwyns enjoys working with communities to support commissioners and providers create better services that meet real needs. He hopes to bring these skills to strengthen the work already done in Westminster. Odeta supports West London Clinical Commissioning Group GP practices and their Patient Participation Groups with developing effective and sustainable PPGs. Odeta offers training to staff teams and PPG members, practical support for developing PPG publicity, runs workshops and facilitates the PPG local network. If you live in the borough and want to know more about PPGs get in touch! Jill works across the borough of Westminster supporting the development of effective and sustainable patient participation groups. She has a background in the voluntary sector working most recently for Brainstrust, a national brain tumour charity, supporting people affected by a brain tumour diagnosis. She is founder and chair of LPLD Alliance, a charity that advocates for excellent care and new medicines for patients with an ultra-rare health condition, representing the patient voice to decision-makers. Aliki is our Dignity Champion Officer and works with our volunteers to carry out Enter & View visits to health and care services. She also offers training and support to our volunteers. 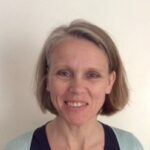 Aliki has extensive experience and knowledge of the health & social care sector. She has previously worked with people with dementia, stroke, homelessness, drug addiction, alcohol dependency and mental health issues. In her spare time, Aliki is completing her MSc in Clinical Neuropsychiatry. 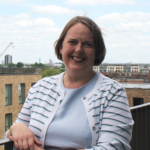 She also is a member of the Hammersmith and Fulham Local Committee and a deputy representative for Healthwatch on the Hammersmith & Fulham Health and Wellbeing Board.